Actress Bhavana Rao has acted in Tamil films like 'Kola Kolaya Mundarika', 'Starry' and 'Vanayudham'. She has acted in many Kannada films and is a leading actress. He is best known for his role in Kannada film 'Satya Harishchandra' released in 2017. She is currently acting in an important role in Sivaraj Kumar, Sudeep and Amy Jackson's The Villain. Though he continued to act in Tamil and Kannada films, he wanted to act in Hindi. 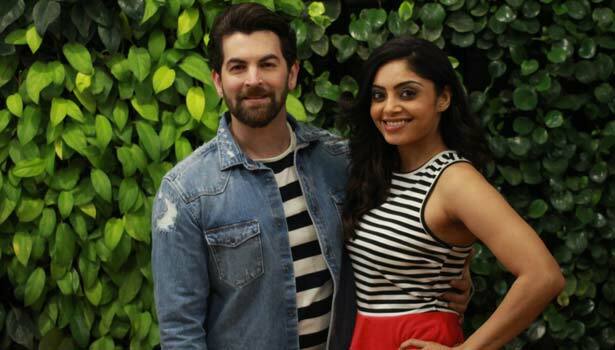 In this case, Bollywood actor Neil Nidin Mukesh has signed up to act in the film 'Paas Road'. He is also known as heroine in Hindi. Speaking about this, Bhavana Rao said, "I thought I would act in Hindi and Telugu films even though I was acting in Kannada films. Now, I had the opportunity to act as a heroine in the film as a suspense thriller directed by Noman Nitish. I was determined to direct the story when the director told me this story. Because I have a strong character in the script. The girl who wants to live in the story. It also wants to travel with some challenging routes. The shooting of this film has already begun. The next round of shooting begins after Pongal. This year has been greatly started. I first step in the Hindi film industry. I am confident that there will be great opportunities for me. " Neel Nedin Mukesh, who is the hero in the film, is famous for acting as a villain in the film 'Kaththi' and Vijay starrer Prabhas is currently acting as a villain in the movie 'Soho'.